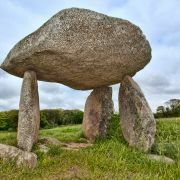 Located high on the moors, overlooking a meeting of streams near St Cleer, this impressive quoit is known locally as the ‘giant’s house’ and, although a sweet image, John Norden’s 16th century description of “a little howse raysed of mightie stones, standing on a little hill within a fielde” somewhat belies it heftier significance. 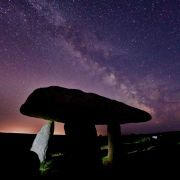 It is widely considered to be the best-preserved quoit in Cornwall, and among the best in the UK. 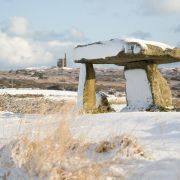 Erected in the early Neolithic period (c3500BC), and originally partially covered by a mound, Trethevy Quoit is unusual because not only does it have 6 supporting stones forming its internal chamber, but it was also constructed with an antechamber (although only one of the two original stones still remains). 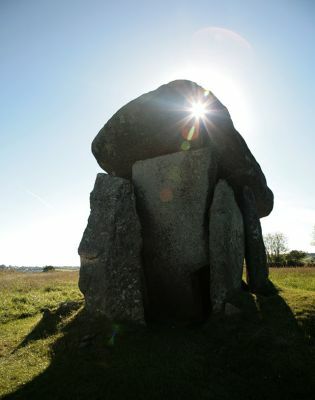 The only other Cornish quoit to boast two chambers is Lanyon Quoit. 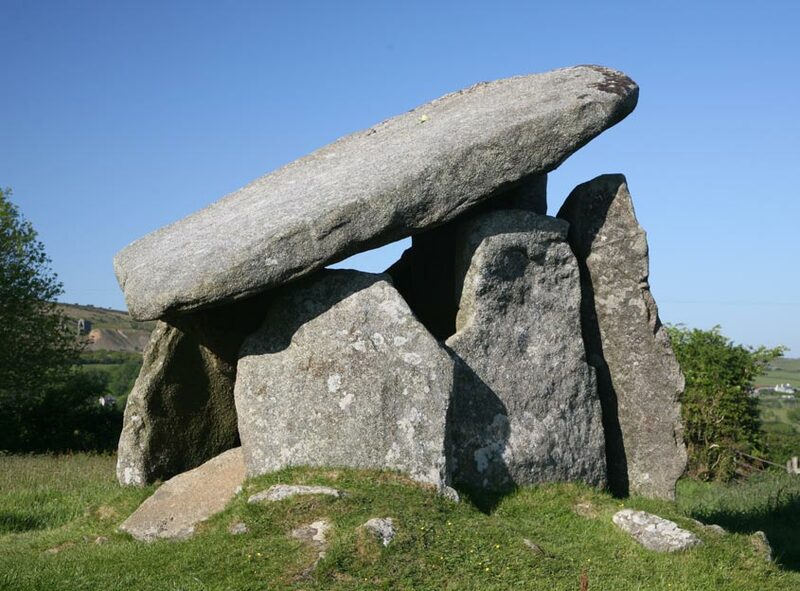 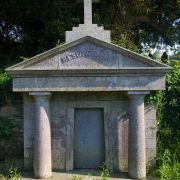 The huge Trethevy capstone sits at an uncomfortably steep angle, though it is unconfirmed as to whether this was its original position or the result of partial collapse at some point in its 5 millennia history. 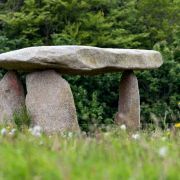 At the lower side of the capstone, five small hollows can be found. However, the two features that make this portal dolmen particularly interesting are the circular hole cut in the higher most corner of the capstone and another larger hole seemingly cut into the top of two of the upright stones. 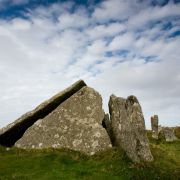 Speculation has informed us that the small round hole could have been used for astronony, and that the side gap might have been used as a supplementary entrance for corpses in times of funereal ritual, but both peculiarities are unique to this megalithic site and so experts still puzzle.